Effective communication with children isn’t always easy or natural or obvious. Whilst we were all once children, it’s amazing how much we forget and how different our brains are between childhood and adulthood (developmentally speaking even if not always in actions!). Communication is an art form between adults, and between child and parent it can feel impossible. Children’s brains are constantly changing and developing and this means they transmit, recieve and retrieve information in different ways at different ages. I work with clients who are parents, as well as working with children of varying school ages and there are a number of techniques that I find work for parents regardless of the child’s age or brain developmental stage. Ultimately what we’re looking to create is a safe environment, relationship and situations for our children to talk to us, no matter what. 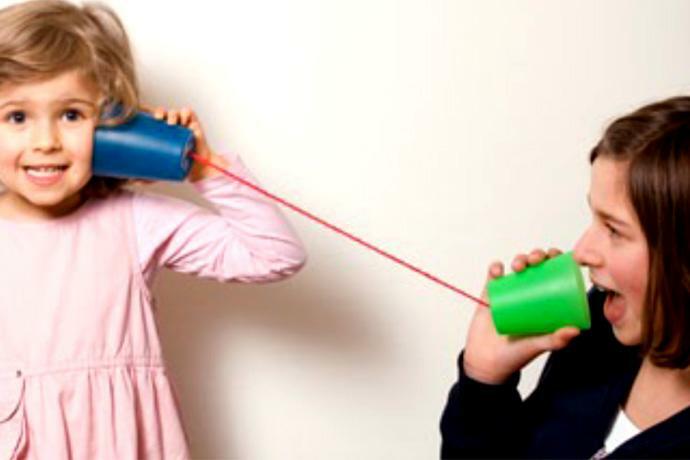 Here are 8 tips on how to improve the effectiveness of your communication with your child/ren. Be vigilant when driving or out for a walk. Children will often share something that is worrying them when there is no eye contact, for example when in the car so that the parent is in some way distracted and unable to give the child their full attention. This lack of eye contact is a good thing as it creates an element of safety for the child. It is less confrontational and therefore gives the child the opportunity to share ‘big’ possibly negative or worrying news / thoughts. Just because a child chooses to open up in this way does mean that they find you confrontational, which leads me on nicely to my next point. Listen, thank, empathise and question. When your child has plucked up the courage to allow you into their world they are not asking for a debate, in fact they may not even be asking for advice. At the heart of effective communication with children is a less is more policy. Let your child know in gentle ways that you are listening to them. Thank them for sharing that information with you. Empathise with them; “That must have been really difficult / upsetting for you.” And then ask how you can help them. This combination of Listen, thanks, empathise and question leaves the child in charge of the narrative and next step whilst leaving them feeling believed and understood. Avoiding arguments. Most people don’t want to get into an argument, but sadly for some it is a well established method of communication. If someone doesn’t listen or agree we raise our voice in the false hope that they will then agree and we will win (meaning they will lose). The issue with arguing with children is that you are teaching them this habit too. The more you raise your voice to them, the more they will do it back to you (and others) now and in the future. Aguments are about winning and losing and this is not a healthy or productive way to try to communicate becasue you’re not taking people along with you, you are effectively trying to beat them down and no one wants to lose. Arguments are about telling, and no one, regardless of age responds well to being told. Ask not Tell. Ask not tell is the antidote to arguments. Ask questions, ask politely of someone if you require them to help you in some. If they don’t do it and then leaves it open for you to respectfully ask why they don’t feel able to help you. This again opnes up the conversation as to what is really going on for your child. Boundaries. Effective communication with children can only occur and grow when a child feels safe, and boundaries are the way to do this. If your child see’s you communicate in a kind and healthy way they will mirro this and will feel to do the same with you. So boundaries start with you. Do you have good boundaries in how you speak to others and will allow others to speak to you? Move on. Not all communcation is going to go well, and thats okay. The point of moving on is to apologise for your part in ineffective communication) again, remember your child will mirror you so if you apologise they will learn that that is a good and okay thing to do to. Once apologise have been made, move on. Don’t hark back to it, don’t let you child try to pull you back into it. Simply remind them that you’ve disucssed that now and moved on. This helps your child learn that there is little threat in telling the truth and apologising, and that in fact this is the safer way to communicate. Agree who should worry about what. Children can worry about all sorts of things, so if you child is worrying about things out of their control then a worry list, and accept and change list and a grown ups and childrens worry list are three options to try. Effective communication with children comes from not avoiding the awkward conversations. To do this, agree who should worry about what can take your child’s internal subjective world into an extrenal objective world over which they will have a greater sense of control. Don’t justify. This is a really big and important one. If you child shares something with you that is about you or someone else and how they are feeling hurt, don’t justify. Don’t make excuses for you or for them, this feels like a dismal to your child and can lead to arguments when your child has plucked up the courage to talk to you. Revert back to listen, thank, empathise and question. If you feel you need to justufy your position do that to your partner, therapist or friend. In short, save your justification for another adult not a child. I hope you find this 8 suggestions useful to help you create effective communication with children. If you need further support feel free to get in touch or leave a comment.